Total Capacity: 7 cu. ft. Selected Total Capacity Options: 7 cu. ft. The 7 cu. 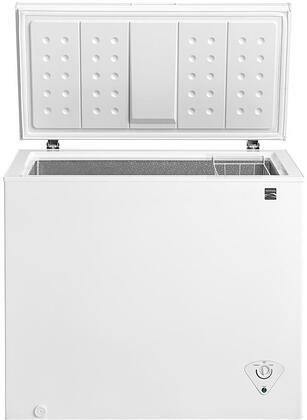 ft. capacity gives you plenty of room to store your frozen goodies. Front-mounted temperature controls help make adjusting effortless. Removable wire basket will help you organize smaller items. Power indicator light indicates that your food is safe and cold. Defrost drain removes water without straining.